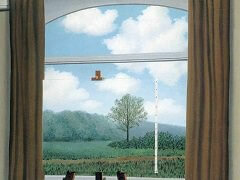 Magritte's works are conceived of as riddles. In them, he explores the mysteries lurking in the unexpected juxtaposition of everyday things, involving the viewer in a self-induced disorientation. 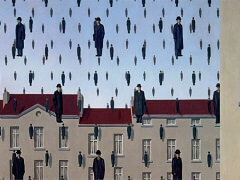 His paintings exclude symbols and myths; everything is visible. 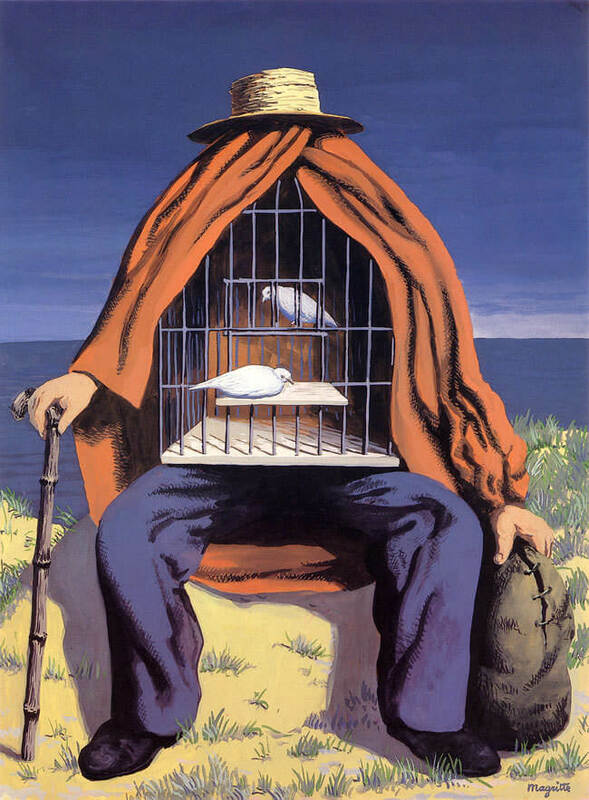 Magritte worked from several sources, which he repeated with variations: anatomical surprises, such as the hand whose wrist is a woman's face; the mysterious opening, where a door swings open onto an unexpected vista; metamorphic creatures, such as a stone bird flying above a rocky shoreline. 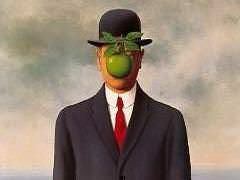 He animates the inanimate, as a shoe with toes; he enlarges details, as an immense apple filling a room. 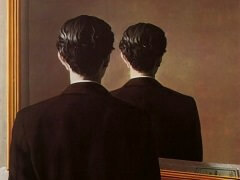 he makes an association of complementaries, as the leaf-bird, or the mountain-eagle. His titles accompany the paintings in the way that names correspond to objects, without either illustrating or explaining them. 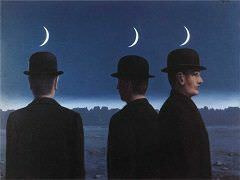 There is always a kind of logic to Magritte's images but when asked about analysis of the content of his paintings, Magritte replied, "If one looks at a thing with the intention of trying to discover what it means, one ends up no longer seeing the thing itself, but of thinking of the question that is raised." 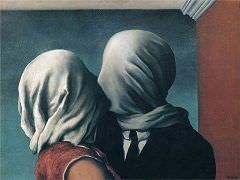 The interpretation of the image was a denial of its mystery, the mystery of the invisible. 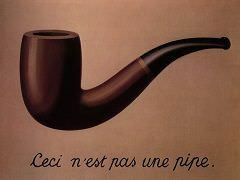 His images are to be looked at, not into.